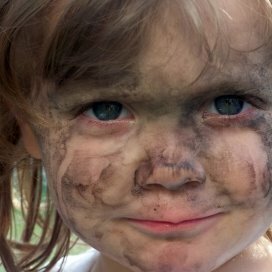 Kinderen heel hygiënisch opvoeden doet hen meer kwaad dan goed. (Waking Times | Karen Foster) Researchers have long suggested a link between the gut-brain axis and neuropsychiatric disorders such as autism, depression, and eating disorders. 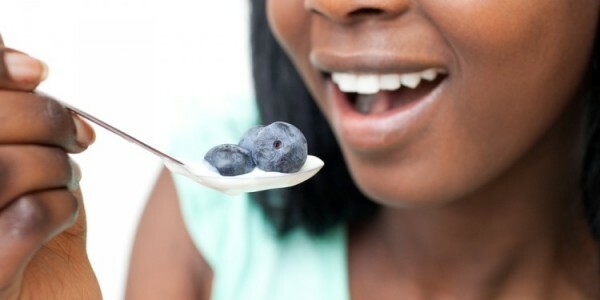 Using probiotics and prebiotics to alter the gut microbiota and influence the gut-brain axis may open up new ways of influencing neuropsychological conditions, says a new review. The majority of the science for probiotics has focused on gut health, but as the understanding of the gut and the microbiome increases, probiotics are increasing linked to a range of beneficial effects, from weight management to immune support and allergy response, and from oral health to cholesterol reduction. The gut contains microorganisms that share a structural similarity with the neuropeptides involved in regulating behavior, mood, and emotion – a phenomenon known as molecular mimicry. At the “forefront of current research” is work on the gut-brain axis – the two direction communication between the gut microbiota and the brain. Data from rodent studies has indicated that modification of the gut microbiota can alter signaling mechanisms, emotional behavior, and instinctive reflexes. Researchers have long postulated that gut bacteria influence brain function. A century ago, Russian embryologist Elie Metchnikoff surmised that a healthy colonic microbial community could help combat senility and that the friendly bacterial strains found in sour milk and yogurt would increase a person’s longevity. Researchers have shown that under certain conditions, some types of normal gut bacteria can trigger disease. Sarkis Mazmanian, a microbiologist at the California Institute of Technology, dubbed these elements “pathobionts”; the term “pathogens”, in contrast, refers to opportunistic microbes that are not normally part of the gut microbial community. According to a new review in Neuropsychiatric Disease and Treatment by Linghong Zhou and Jane Foster from McMaster University in Canada, communication channels between the gut and the brain include sympathetic and parasympathetic nerves and the enteric nervous system (ENS). The body can’t tell the difference between the structure of these mimics and its own cells, so antibodies could end up attacking both, potentially altering the physiology of the gut-brain axis. The bacteria present in the gut affects the communication between belly and brain, they said, and the lack of healthy gut microbiota lead to dysfunction in the gut-brain axis, which in turn may lead to neuropsychological, metabolic, and gastrointestinal disorders. Intervention trials with select strains of probiotics have revealed that supplementation may influence mood (Lactobacillus casei Shirota), and anxiety and depression (L. helveticus and B. longum). There is also some data to support an effect with prebiotics, with improvements in stress hormone levels and attention in health volunteers taking oligosaccharides. 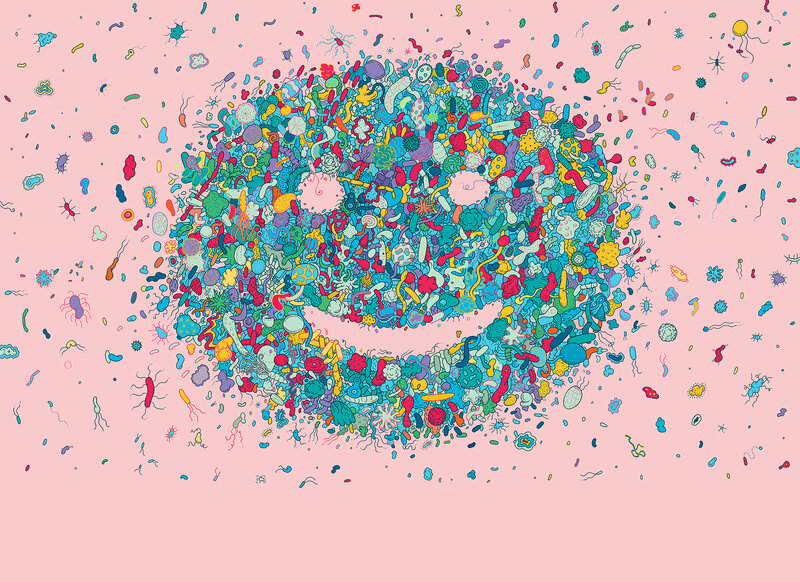 The role of the gut microbiota in the development of neuropsychological disorders is also a focus for many researchers around the world, with data supporting an association between dysbiosis (microbial imbalance) in the gut and disorders including depression and autism spectrum disorder, metabolic disorders such as obesity, and gastrointestinal disorders including IBD and IBS. The best known of the probiotics are the Lactobacilli, a number of species of which (acidophilus, bulgaricus, casei and sporogenes) reside in the human intestine in a symbiotic relationship with each other and with other microorganisms (the friendly Streptococci, E. coli and Bifidobacteria). 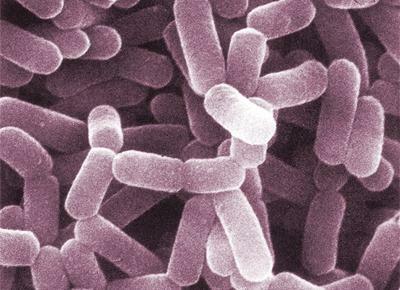 Lactobacilli are essential for maintaining gut microfloral health, but the overall balance of the various microorganisms in the gut is what is most important. Another probiotic which has recently generated a great deal of interest is the friendly yeast known as Saccharomyces boulardii, an organism that belongs to the Brewer’s Yeast family, not the Candida albicans group. S. boulardii is not a permanent resident of the intestine but, taken orally, it produces lactic acid and some B vitamins, and has an overall immune enhancing effect. In fact, it has been used therapeutically to fight candida infections. Need to lose weight? Why not try a gut bacteria transplant?New research published in the journal Sciencesuggests that the microbes in your gut may play a role in obesity. Scientists have been exploring the connection between gut bacteria and chemicals in the brain for years. New research adds more weight to the theory that researchers call “the microbiome–gut–brain axis.”Research published in Proceedings of the National Academy of Science shows that mice fed the bacterium Lactobacillus rhamnosus showed fewer symptoms of anxiety and depression. Researchers theorize that this is because L. rhamnosus acts on the central gamma-aminobutyric acid (GABA) system, which helps regulate emotional behavior. L. rhamnosus, which is available as a commercial probiotic supplement, has also been linked to the prevention of diarrhea, atopic dermatitis, and respiratory tract infections. While bacteria on the outside of your body can cause serious infections, the bacteria inside your body can protect against it. Studies have shown that animals without gut bacteria are more susceptible to serious infections.Bacteria found naturally inside your gut have a protective barrier effect against other living organisms that enter your body. They help the body prevent harmful bacteria from rapidly growing in your stomach, which could spell disaster for your bowels. To do this, they develop a give-and-take relationship with your body. “The host actively provides a nutrient that the bacterium needs, and the bacterium actively indicates how much it needs to the host,” according to research published in The Lancet. It’s common knowledge that a mother’s milk can help beef up a baby’s immune system. New research indicates that the protective effects of gut bacteria can be transferred from mother to baby during breastfeeding. Work published in Environmental Microbiology shows that important gut bacteria travels from mother to child through breast milk to colonize a child’s own gut, helping his or her immune system to mature. 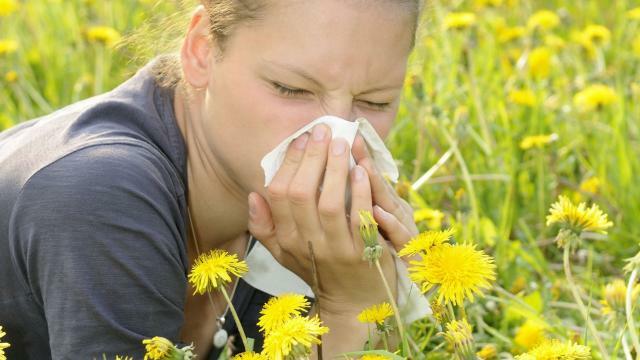 Too few bacteria in the gut can throw the immune system off balance and make it go haywire with hay fever. Researchers in Copenhagen reviewed the medical records and stool samples of 411 infants. They found that those who didn’t have diverse colonies of gut bacteria were more likely to develop allergies. But before you throw your gut bacteria a proliferation party, know that they aren’t always beneficial. Your liver gets 70 percent of its blood flow from your intestines, so it’s natural they would share more than just oxygenated blood. Italian researchers found that between 20 and 75 percent of patients with chronic fatty liver disease–the kind not associated with alcoholism–also had an overgrowth of gut bacteria. Some believe that the transfer of gut bacteria to the liver could be responsible for chronic liver disease.